Top Three Hikes in the Western U.S.
My to-hike list is a long one, but here are the top three hikes I’ve experienced. Pulsing muscles, dirt-caked calves, and air that expands my lungs are some of my favourite things about hiking. There’s no feeling like it, and there are few things I’d rather spend a free day doing than exploring the great outdoors. In all honesty, I haven’t travelled nearly enough. I’m look forward to expanding my horizon around the globe someday soon, but I’ve been fortunate to experience some truly incredible places within my own boundaries. To inspire your next great escape (or road trip), here are the top three hikes I’ve completed. 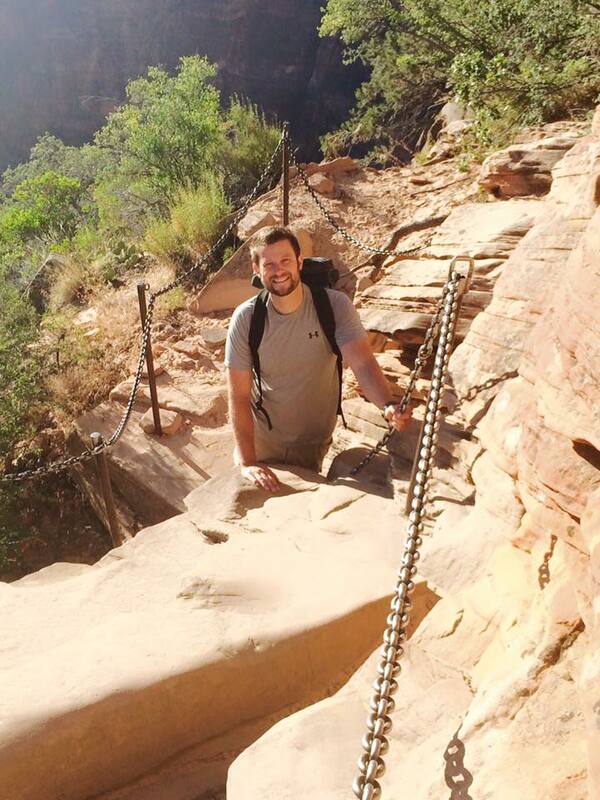 It may be less than 2.5 miles from bottom to top, but the Angels Landing hike certainly put the “f” in fear factor for me. I was admittedly terrified of this hike before we arrived at the park. It’s known for its massive elevation gain with unforgiving drops on either side. Angels Landing was named as such because the peak is so high and isolated that it was said only angels dared to land there. My husband and I started early in the morning, rising before the sun. Utah gets unbelievably hot during the day in the summer, so it’s a hike you want to start early if you’re doing to do it at all. 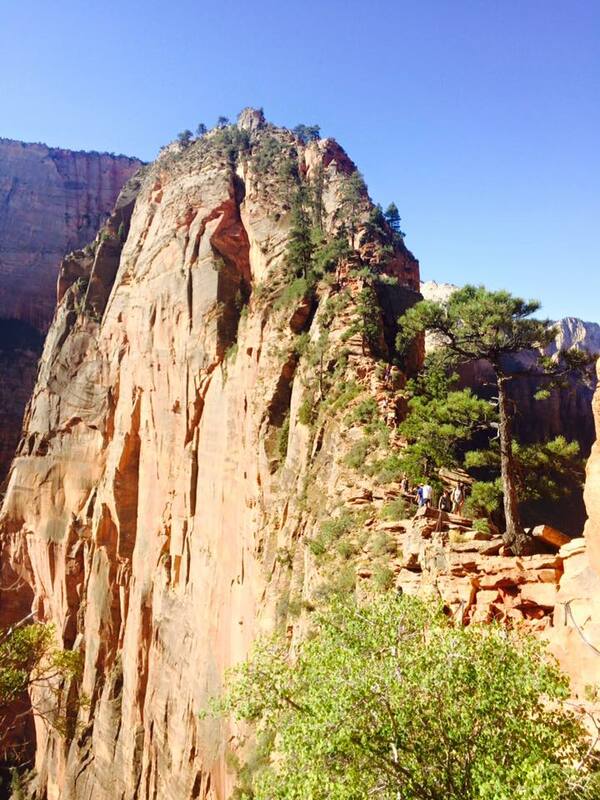 Once you reach Scout’s Lookout, in the shadow of Angels Landing, another half mile of scrambling over narrow sandstone (that’s only 3 – 4 feet wide in some spots) will get you to the top. The trail is well-maintained with chain hand-holds to grip on to when needed. 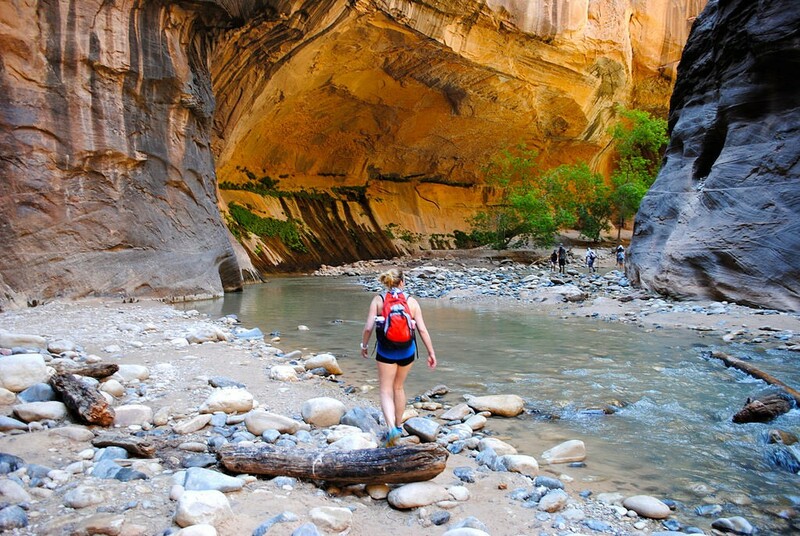 To learn more about this hike, check out my post on Zion National Park. If you’re looking for wow factor, you’ve found it! 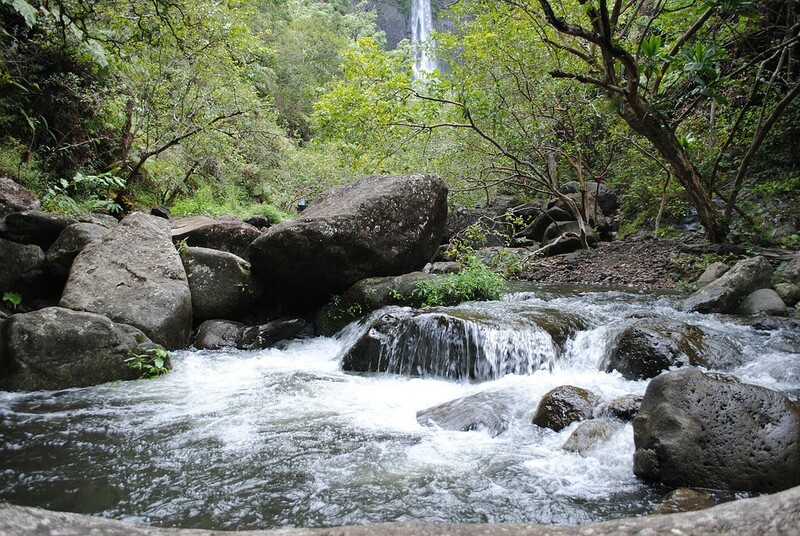 Starting at Ke’e Beach on Kauai’s north shore, the trail extends for 11 miles along the famed Nā Pali coastline. Distinct with its towering emerald peaks anchored into the ocean, there are few places that appear as untouched. 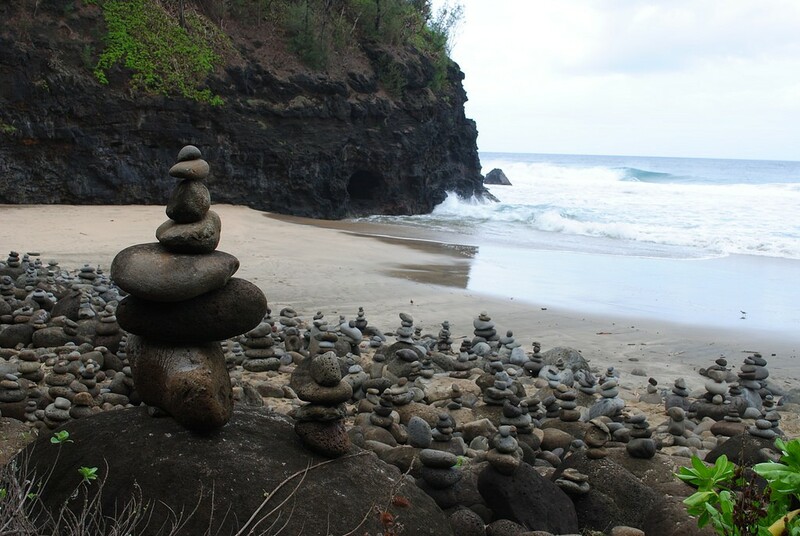 We followed the Kalalau Trail for two miles to Hanakapiai Beach, unmistakable with its balanced rock sculptures. From the beach, we veered inland and zig-zagged across a stream for another two miles. Our effort was rewarded with a spectacular waterfall sending a misty cascade from 300 feet overhead. Our shoes and socks were soaked and muddy by the end – it’s unavoidable while hiking through the stream. The area is also prone to flash floods, so make sure you check the forecast before you head out. Expansive views across a lunar landscape are what sets Arches National Park apart from so many other spots in the country, let alone Utah. Over 2,000 naturally-formed sandstone arches reach across points in the park. 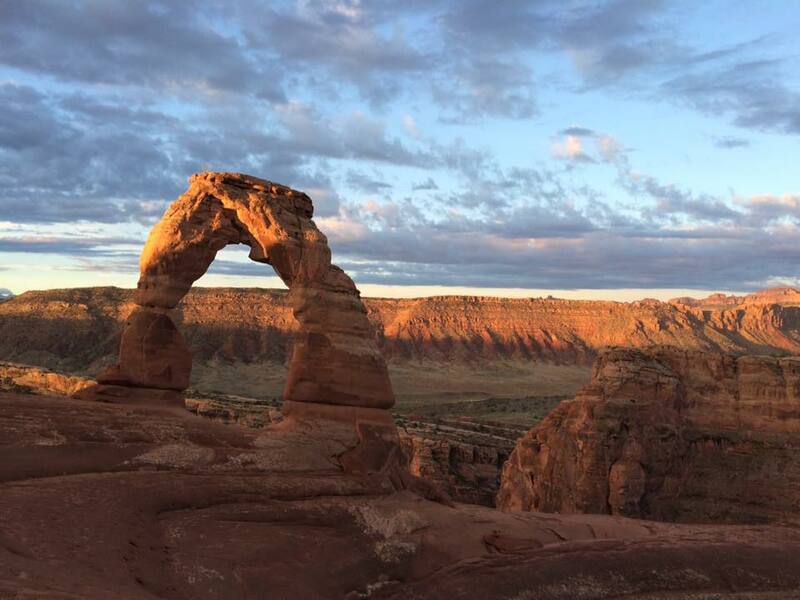 One of the most famous of those is certainly Delicate Arch, a secluded sculpture that takes some effort to get to. Much like our venture to Angels Landing, we rose before dawn because watching the sun come up over Delicate Arch was something we hoped to see. A chain of headlamps bobbing in the dark, we joined other ambitious hikers as we treaded blindly over sandstone and slip rock, eventually finding our way to Delicate Arch at the perfect time. Watching the warm sun slowly bathe the arch in its light is something I’ll never forget. Check out my blog post for more information on Arches National Park. Ignoring the famed Narrows would be unforgivable. A vast gorge carved by the Virgin River through ancient sandstone, I couldn’t help but feel a bit like Indiana Jones as I waded my way through it. When the weather is right (and the risk of a flash flood is minimal), the Narrows is an incredible way to push your own curiosity as far as it will go. Gorge walls that tower as high as these ones do a flawless job at reminding us of how small we all are in this big world. Hoping to escape the relentless Utah heat, we spent the afternoon travelling upstream and around an endless series of bends and turns. After four or five miles, we made the smart move of turning back before nightfall – but not before finding side streams that felt like they were our own private discoveries. Your turn: What are some of the best hikes you’ve discovered? Add to my list of top three hikes in the comments below!